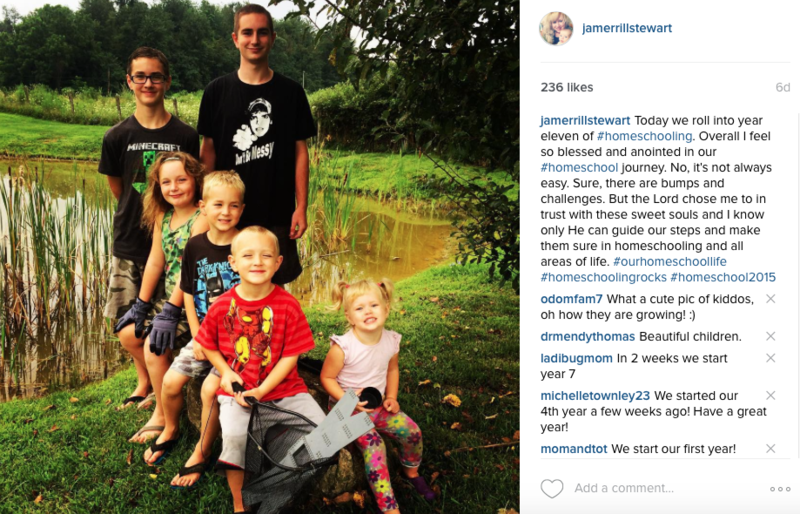 It’s the time of year when many homeschooling families are rolling into the new school year. Many have bought their homeschool curriculum (and if you haven’t bought your curriculum yet read here on how to save thousands on homeschool curriculum), hit the back-to-school sales, and raided the Dollar Tree or Walmart for homeschool goodies as well. Now it’s time to start some first day of homeschool traditions your kids will look forward to each year with these great ideas below. First day of school photo. You can, of course, do the first day of school photo just like your friends are, but with a twist, have them show their homeschool curriculum for the year or their homeschool learning space. In the case of our family, we gathered for a group picture around the pond. LOTS of learning (the planned and unplanned kind) happens around our country pond. Homeschool in your PJs. Let the kids come to ‘class’ in their PJs and have a relaxing and stress-free first day. Mom and dad should do the same make it fun and something to look forward too. Take it outdoors. We are still in the time frame where the weather is nice. Take your homeschool day out doors, picnic style or even just the morning with a read aloud book and relax. Another way to take things out side is to grab some sidewalk chalk and hit the drive away for some fun homeschool. Have them write answers in chalk, math problems, spelling words, drawing and more! Special lunch date. Have a special lunch date. Go out to your kid’s favorite restaurant or one you don’t go to very often and make it special. You can even have everyone get all dressed up. Nothing like kicking the homeschool year off with a field trip! Field Trip! Like I said above make it a field trip day! Head to a book store or the library and let them pick out a book for their reading to kick off the year. Do a half day of work then hit a local amusement, a trampoline park, or bowling. Something fun to celebrate! Treasure hunt. Start the day off with a treasure hunt. Set it up the night before and leave the first clue by the kid’s bed or at their seat for breakfast. Make it fun and have it lead to a prize or fun event like heading out to breakfast. Make this in riddle format and improve their logic as they have fun! Time capsule. Normally time capsules are for 10, 20 or 50 years down the road but do one for the end of the school year. Make a questionnaire for them to fill out like their favorite subjects, things they think they will learn this year, even favorite foods, events they want to attend and their goals for the school year. Moms and Dads you to one too! Then add in a secret reward for the kids like a trip their favorite restaurant or an amusement park and don’t tell them, let they find it when they open the capsule at the end of the school year. Simple Homeschool shares 10 back to homeschool traditions. I really like Jamie’s idea for giving your child flowers. Read about it here. Here’s a fun thread on Simply Charlotte Mason for Fun Activities for First Day of Homeschool. 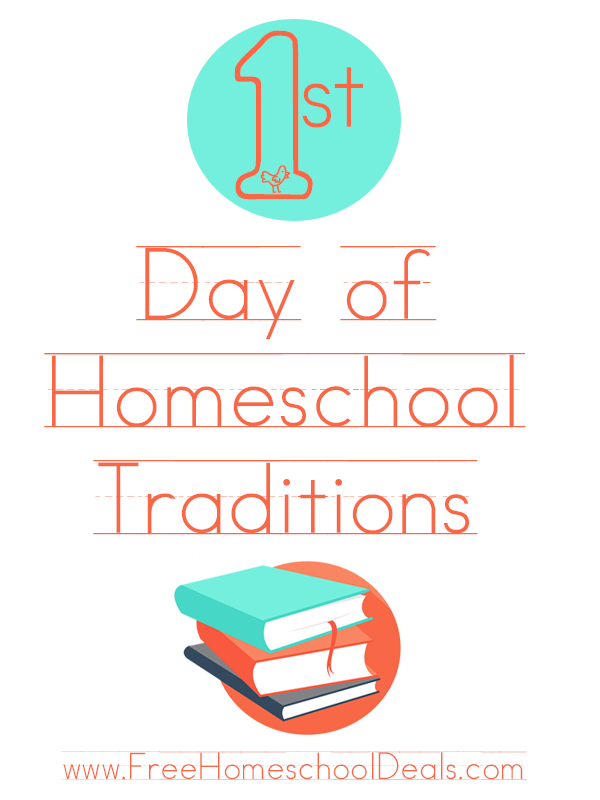 Don’t miss these 6 “first day of school” homeschool traditions from MidWest Parent Educators. Read their idea about homemade decorations! Kim from Not Consumed shares her family’s list of back to homeschool celebrations. My Joy-Filled Life not only shares more First Day of Homeschool Traditions, she also has FREE First Day of Homeschool Printables! Hello, we LOVE free around here, right?! What are you back to homeschool traditions? *This post was originally published in August, 2015.